If you haven’t heard yet, PokerStars is quietly rolling out a brand new game engine to power their desktop software. And we’re all over it. Codenamed Aurora, PokerStars might not be talking it up much yet—be we sure are. Over on pokerfuse we have an in-depth look at the changes, Poker Industry PRO has an exclusive interview with the man behind the plan and here on F5 we are keeping your eyeballs clued to mesmerizing sliding animated GIFs. If you can tear yourself away from that smorgasbord of click-friendly content, there’s something else we’ve got for you: In fact, there’s one aspect we haven’t talked about yet: the new animations. Right now the changes are pretty minor on the surface. But tucked away there are some interesting new touches here and there that make the games more engaging. And perhaps the best example is with the intro to Spin and Gos. Here’s what it looks like in Aurora—note the higher frame-rate, giving for a quicker spin effect; the pulsing glow behind the spinner; and the smooth shrink to the top right corner. It’s subtle, but the change is there—and that’s the direction we think PokerStars is going to take with this new engine moving forward. Attention to detail to tweak various parts of the online poker experience: Improve the feel, give a feeling of increased dynamism, smoother transitions and more responsive experience. Thanks to our big brothers pokerfuse and Poker Industry PRO, we now know that PokerStars is planning to launch a big new product update that’s going to impact the online poker experience at the tables. Some changes are subtle—tweaks and improvements here and there. In other places, the changes are more dramatic. Overall, the new client will offer a richer experience, with higher resolution graphics, smoother animations, and improved sound effects. But that doesn’t mean it’s better. So you think this is an upgrade or a step backwards? Here we put some side-by-side for your viewing pleasure, and you can judge for yourself. First up is the Mercury theme—changes here are pretty subtle. PokerStars wants to keep this update minimal, so the default experience for players will be pretty much the same. You’ll notice, however, that the bottom left box has changed quite a bit, with nicer buttons and a more legible font. The felt is darker, and card faces are slightly bigger. Next up we’ve got the old original PokerStars theme, now called “Classic.” Much bigger changes here—the background has gone all modern and minamalist, there’s a bright shining halo of a light source at the top, and everyone’s name plates are in the more modern style. Some old-school online poker players might lament the changes here, but it seems like a big step in the right direction to us. Definitely a clearer experience for those that play more than a couple of tables. We’re a fan. Finally, and most controversially, is Saloon. Where do we start?! Firstly, you might not even be familiar with the old theme—that’s because, let’s be honest, it aint a pretty sight. Its a weird mish-mash of designs and all looks like something out of the 1990s. The new one—well it’s certainly modern. 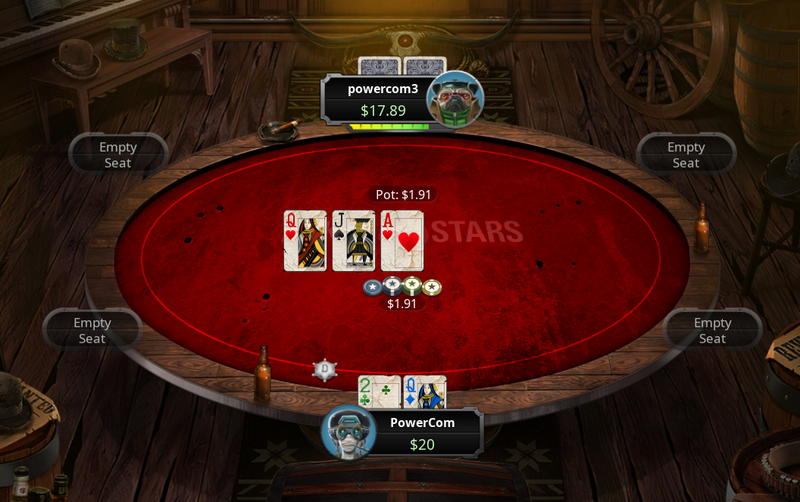 PokerStars has certainly made use of the new Aurora game engine here, there’s animated smoke rising from the cigar, there’s a sheriff’s badge for the dealer button… it feels a bit too busy for us, so I doubt it will be a hit with multi-tablers. But maybe it’ll prove to be a hit for casual players? Anyway, that’s just our thoughts, what do you think? Let us know on social. 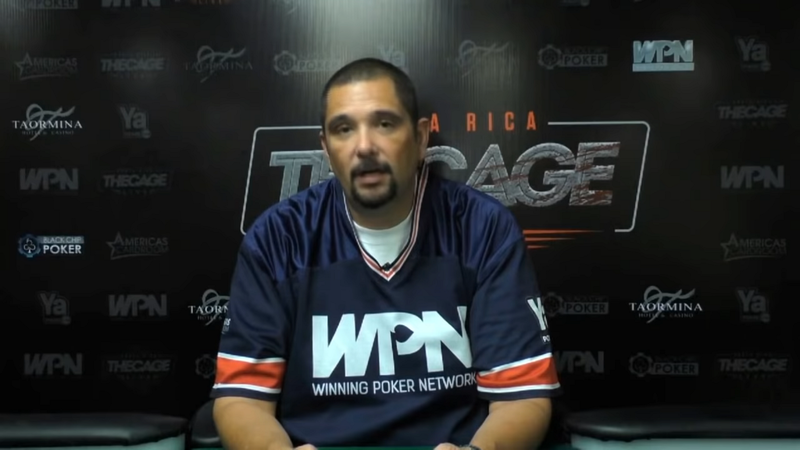 CEO of the Winning Poker Network, Phil Nagy has declared war on the bots once again. Furthermore, Nagy states that the site has banned two bots and has refunded over $200,000. Screen names of both the bots have been released on their website including the list of players affected by these bots and their reimbursement amount. “Over the last year, our poker community has been very vocal about bots on WPN. As the CEO, I didn’t handle this well. I let personal feelings get in the way of what the business should have been doing,” said Philip Nagy, CEO of the Winning Poker Network. “I apologize for not handling that better, and it won’t happen again,” Nagy added. Three months ago Dan “Jungleman” Cates called Tom “Durrrr” Dwan out over Twitter about their unfinished “Durrrr Challenge.” As usual, silence spoke louder than words—as Dwan kept shtum on the matter. For those of you who don’t know what the Durrrr Challenge is … well, we can understand, given that it started over nine years ago! It is high-stakes multi-tabling heads-up cash game between Dwan and Jungleman. Dwan is currently losing to Cates by $1.2 million, with 30,665 hands remaining. However, it looks like Jungleman with the help of Jeff Gross and partypoker could be trying to kickstart the challenge once more. Despite Jungleman once again resuming talks on how to move the Challenge forward, it that doesn’t mean it will go ahead—as Dwan is yet to reply. Publicly at least. Back in 2017, it looked like the Durrrr Challenge could return as Jungleman and Dwan were in talks to play out there final hands, but unfortunately it came to nothing. 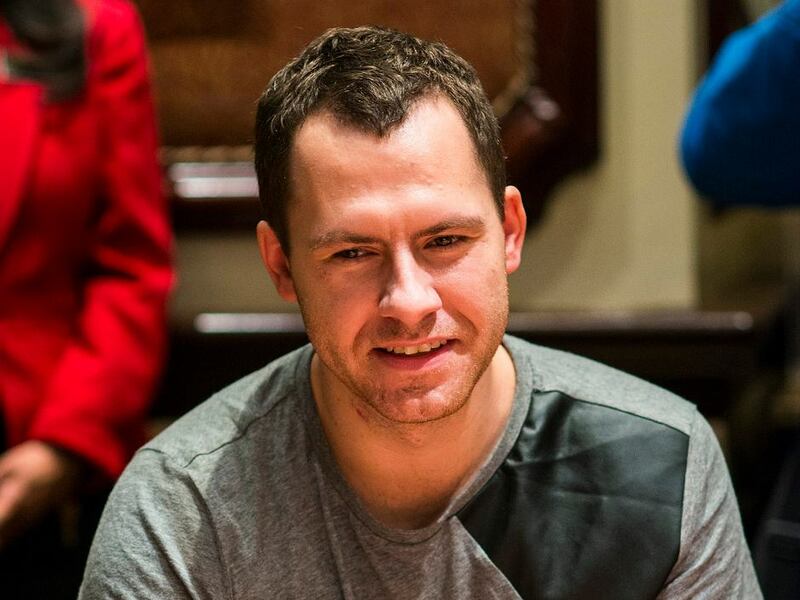 At the time high stakes poker player Doug Polk called out the Challenge, calling it the largest scam in history. So, once again, fans wait with baited breath to see if this comes to anything. Check out recent interview between Gross and Jungleman where they talk about the Challenge amongst other things, below. partypoker Team Online member, Matt Staples had a great outing at partypoker’s recent Powerfest series. The Canadian streamer won his first Powerfest title in Event #65 Medium $33 Deep Turbo 8-Max by outlasting a field of 581 entrants to take home $3684. On the same day, he also final tabled in another Powerfest Event #65 High $109 Deep Turbo 8-Max but busted in fifth place for over $1500. 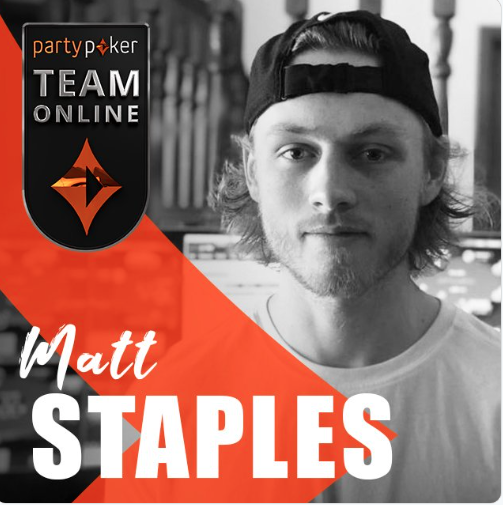 Matt Staples happens to be the first sponsored pro on the roster of partypoker’s newly formed “Team Online.” He has over 3 million views on Twitch and more than 57,000 followers. The Twitch grinder is also known for his Ultimate Sweat Challenge in 2017 with his brother Jaime Staples. The Staples brother walked away with $150,000 and won their bet to get within 1 lb of each other. Matt’s brother Jaime Staples, who was former PokerStars PokerStars Team Pro is set to join party’s Team Online from May 4.